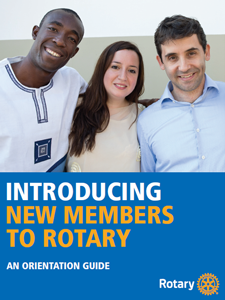 Recruiting new members is the responsibility of every Rotarian. 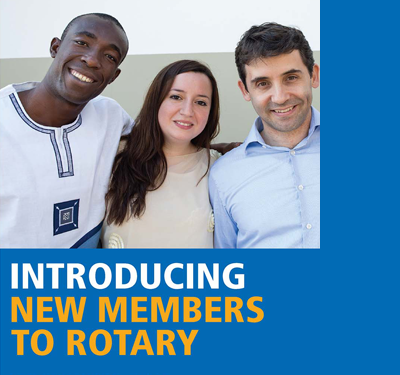 The more you learn about what Rotary does for our youth, our local community and internationally, the better advocate you become to share our Rotary story. Recruiting starts with educating friend and neighbors within the local community about our Club, our focus and the community service projects we undertake. Communication is key! Attracting new members may begin with an invitation to a membership social, asking them to participate in a project or just inviting them to a regular meeting. You are the catalyst, become a new member sponsor. 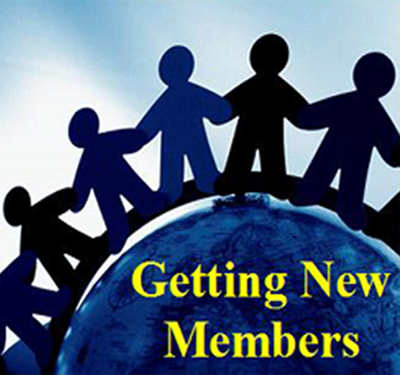 Orientation is imperative to getting new members active in our Club. It's the process by which we introduce new members to the culture and inner workings of our Club. New members cannot participate if they don't know what we do. They choose to become a member because they, like us, want to be part of a Club that makes a difference. Orientation is not only an education process, but should also include assigning every new member to a service project to work on AND a committee to serve on. With involvement they will grow - without involvement they will leave. 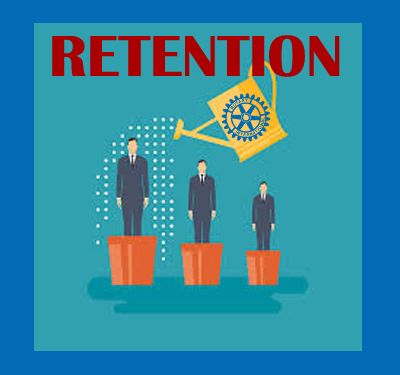 Consider retention as the process of maturing members into positions of leadership. New members start with assisting with hands-on service projects, but they should also serve on a Club committee. 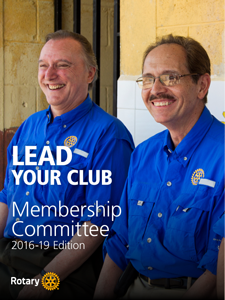 The Club will only continue to grow if members are challenged to head projects that they believe in, get involved in committees, take advantage of RLI, District Conference, etc. With encouragement they will become committee chairs and Board members. If the Membership Committee works to keep members involved, engaged and recognized for their contributions, retention will not be an issue.